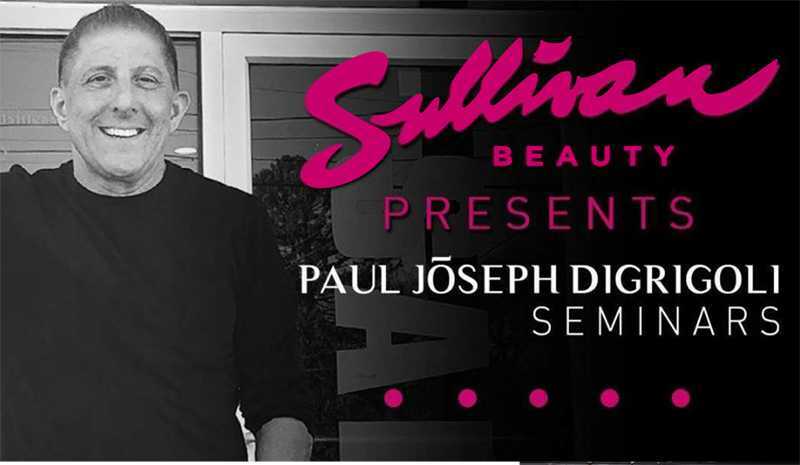 February 28, 2019 – Holyoke, MA – For the first time in many years, Paul Joseph DiGrigoli, owner of DiGrigoli Salon and DiGrigoli School of Cosmetology in West Springfield and national spokesperson/educator for the beauty industry, will be offering his popular seminars to all local salon professionals and business owners. The all day program, scheduled for April 29, 2019, will take place at the Log Cabin in Holyoke, MA. The morning will kick off at 10a with DiGrigoli’s most popular program, Booked Solid, based off his best-selling book in the beauty industry of the same name. Designed to help stylists increase clientele, sales, and retention, Booked Solid has inspired stylists across the country at major beauty shows for the past 15+ years. After lunch, the day will conclude with How to Build a Healthy Salon from 1:30-3:30p. This program, geared towards salon/beauty business owners, will use DiGrigoli’s 35+ years of experience in the industry to educate on the best leadership practices, how to cultivate a healthy salon team, and how to out-perform the competition. This intensive workshop is being made possible through the sponsorship of Sullivan Beauty out of New Hampshire. Sullivan Beauty, formally C.B. Sullivan Company was founded in 1945 and is currently New England’s longest standing independent beauty supplier. Family owned and operated, they supply professional hair care, skin care, makeup, nail care, tools, equipment, education and more to six states: MA, CT, RI, NH, VT & ME. For more information and to purchase tickets, interested stylists and professionals should click here. This entry was posted by Sullivan Beauty in Education Event, Licensed exclusive content, News. ← Top o’ the Mornin’ to ya! We’re less than a week away!